Let’s face it – social media influencers, YouTubers, beauty pageants and so on have always been unfairly stereotyped into the typical blonde girl persona that’s all about looks and nothing else. Admit it, we also have our moments of judgemental criticism when all the eye-rolling and “omg” come up unfiltered when we chance upon a seemingly bimbo-esque person. 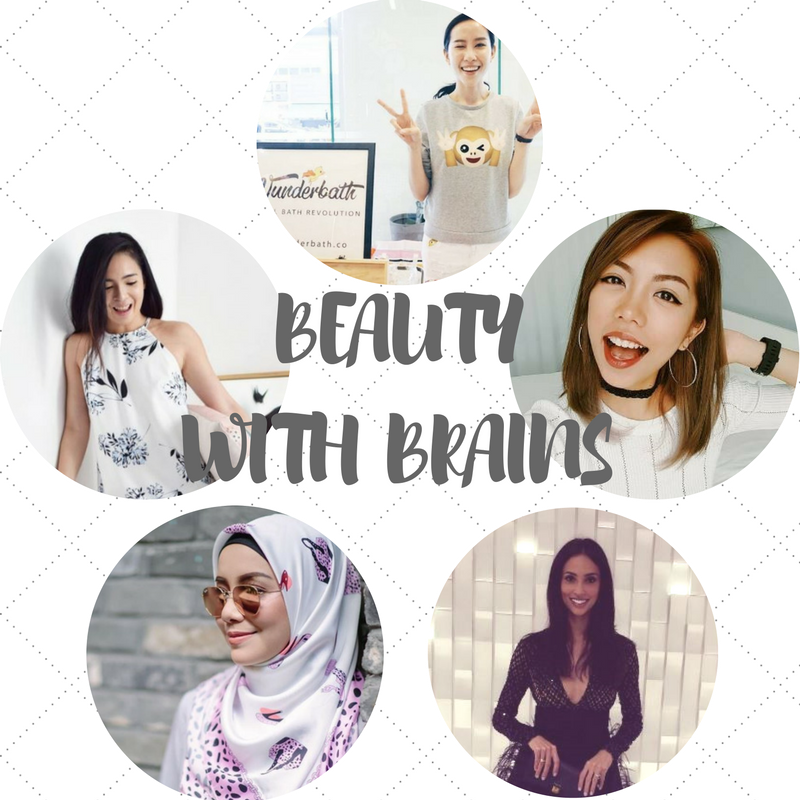 Therefore, we decide to debunk that myth with this specially-curated list of personalities that’s not only easy on the eyes, but hustles through when it comes to realising their passion through a tough just-do-it attitude. We could really learn a lesson or two from these gutsy ladies! Say goodbye to boring blocks of soap and immerse yourself in the whimsical world of Wunderbath, where you’ll be able to find anything from the cutesy rubber duck to a slightly offbeat fried egg in soap form. Whenever she’s not personally hand-making soaps and bath bombs, this lanky lass (who’s also a certified nutritionist) freelances as a runway model and professional emcee. A face no stranger to local dramas and talkshows, Mira has always been the sweetheart persona be it on or off TV, thanks to her elegantly modest Muslimah appearance. Started off in the modelling circuit, this ambitious lady slowly climbed her way up to receiving acting roles and eventually branched out to starting her own skincare and hijab line at a tender young age of 23. Twenty three! Twenty3, the brainchild of Sherlyn Tan was formed during one of her bleakest period in life and so, she decided to start a fashion brand designed to empower all women, regardless of their size. Bringing in a plethora of designs from casual to corporate to complement the urban feminine identity of the clothing line, you’d also be able to find numerous amounts of workout snapshots as this lady’s a self-professed fitnessholic. This petite lass do pack quite a punch when it comes to wearing multiple hats at the same time! Meet Jenn, a singer-songwriter/emcee/TV host/producer/copywriter – and the list keeps getting longer and longer over time. Her humble beginnings of casually uploading an original song on Youtube six years ago has eventually paid off since, with this enigmatic lady dabbling into vlogs, music covers and just about any random topics you can think about – she probably already got that covered. This fifth and final listing is a bit of an obvious choice, but we can’t stop gushing over her efforts in humanitarian issues! Experiencing her first shot of fame when she represented Malaysia at the Miss World pageant in 2007; this stunning personality has managed to keep herself busy by establishing the Fugee School, a school for refugee children as well as wearing the director’s hat for Venuescape, an event-planning company. She’s one definite busy queen bee!